You should read this post at Myrl, that will lead you to a brilliant presentation delivered by the game designer David Perry (Earthworm Jim, MDK, Messiah). Richard Garriott, the creator of Ultima (the longest running RPG series, and a legend in the games universe) and Tabula Rasa, has followed his father’s footsteps and has launched aboard a Russian Soyuz spacecraft to the International Space Station. He has returned to Earth yesterday. 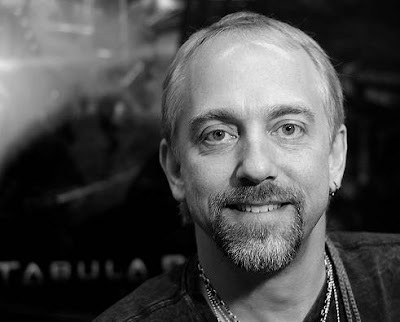 Also known as Lord British in his Ultima world, Richard Garriott is a fearless adventurer, a man able to accomplish the most daring and strange adventures, both in business and life. The fans of his role playing games can be proud of him. Kzero has published an study of users of virtual worlds of ages from 15 to 25, that are considered a potential public that is growing, and also users on Europe, that are each day more. You may also find interesting their virtual worlds logos collage; it may inspire you, if you are a designer, to make logos for this kind of companies, or if you are a business owner, to think if yours is competitive with these. A new female avatar for Seamless3D is released. Her name is Lucy, and Thyme encourages anyone to change her and make her your own. See it here: Lucy avatar. Zoe Connolly (cheerleader for Aviation in Second Life, Marshal of the Royal Caledon Air Force and Owner/Leader of the Second Life Bloggers Group) has posted a new video, that illustrates how to configure SL settings for flight. Remember to check her YouTube channel and subscribe for future updates. Koinup announces a new initiative that seems to consist in encouraging avatars as a new form of artistic expression. This initiative is called AvatArt. Second Life will incorporate immersive workspaces. This is a new trend in the virtual worlds market. You may have seen other similar services. Your workplace can be now incorporated to virtual worlds.